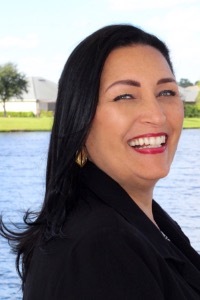 My name is Christina and I have been helping customers on their journey to home ownership for many years through my extensive experience in the mortgage industry and have made the natural transition into real estate. I am passionate about real estate, and for me, there's no greater privilege than to be a part of the enormous life change of buying or selling your home. I love sharing my information, knowledge, and expertise that will help a buyer or seller make some of the biggest decisions of their lives. From the first time we meet to talk about your goals to a successful closing day, I'll be committed to using my knowledge and expertise to help you find and negotiate for the home that is the perfect fit. When I'm not showing a property to a customer or preparing a new marketing plan for an upcoming listing, you'll find me exploring Northeast Florida's many trails and coastlines with my family!